ESP Dental (Phoenix) - Book Appointment Online! Welcome to the EspDental, where we strive to provide you with the best dental care. Tired of hiding your smile from others? Wish you could finally do something about your discolored, cracked, or missing teeth? Or, do you simply want to build upon your natural oral aesthetics? Dr. Kapadia can help you get the look you not only desire, but deserve. 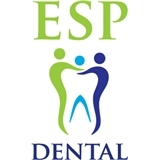 With the assistance of a highly-skilled dental staff, her team at ESP Dental are here to provide quality dental care for you and your entire family.